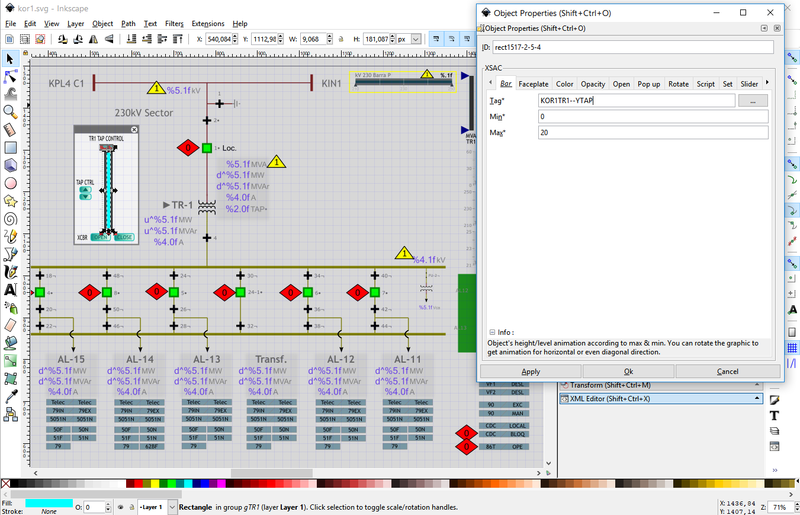 Powerful SCADA-like visualization tools, free-form synoptic graphics for real-time data display. Use our Synoptic API to bind your real-time data to graphics created with our SVG Editor and that's it! 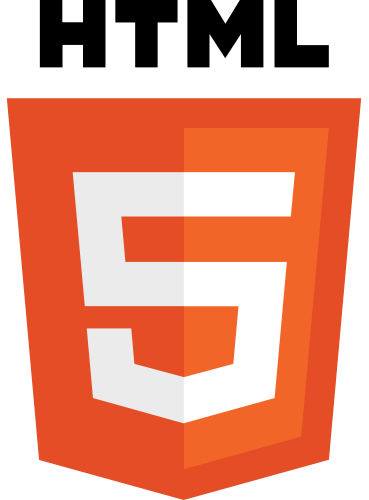 A pure HTML5 solution, mobile friendly, no client plugins or special server requirements needed. All your data and graphics stay on your servers and clients. Free Grafana panel plugin available now here! MS Power BI custom visual extension coming soon! Create high-quality vector graphics using our powerful Inkscape-based editor. Easily animate the graphics properties linking to your data using tags. Animate fill/stroke colors, text, rotation, size, position, add interactivity and much more. All graphics properties are high-level DOM objects. Pass the SVG file and tagged data in real time using the Synoptic API. The API manages all the complexity providing a few simple calls. No data and no graphics are ever sent to our servers. The under the hood postMessage mechanism makes the cross-domain collaboration easy, safe and efficient. Available only for Windows 10 computers in the Microsoft Store. 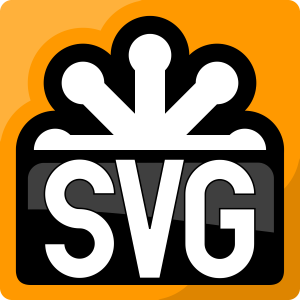 Based on the popular and powerful Inkscape SVG Editor. 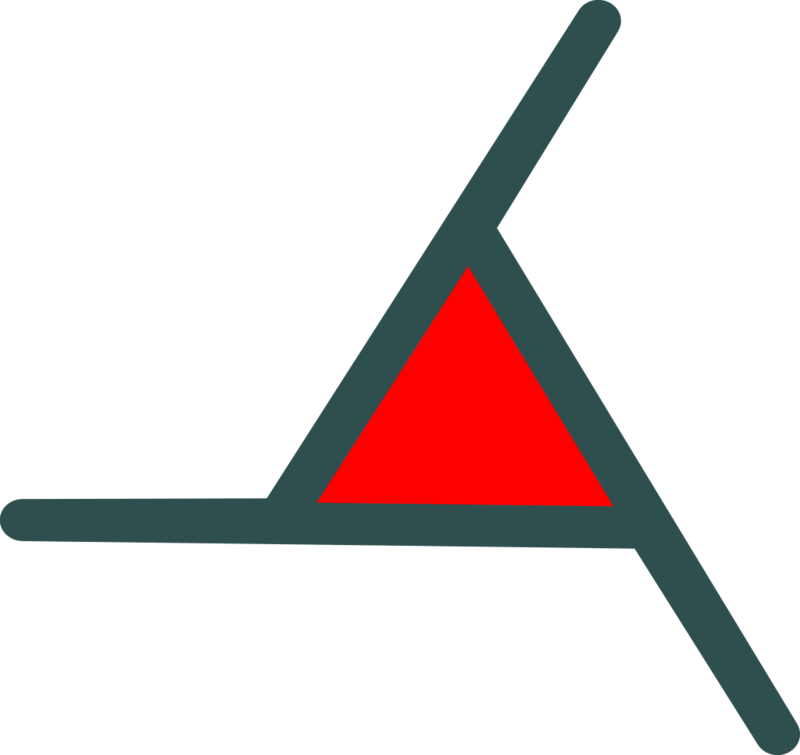 Inkscape was modified to allow for markup of data-linked animations directly in the SVG file. There are plenty of free resources for learning Inkscape. Our solution workflow clearly separates graphics creation from data binding, so designers can create graphics with no required programming skills and web programmers can easily bind corporate real-time data to the created graphics. All that without compromising data and graphics privacy. The SCADAvis.io standard service is free to use. Paying customers have access to advanced services. Pay with PayPal or money transfer. We do not request Credit Card numbers! * Standard plans do not apply to SCADA/IoT cloud services providers. help_outline Is my data really safe? The security of your data and graphics only depends on your systems and policies. 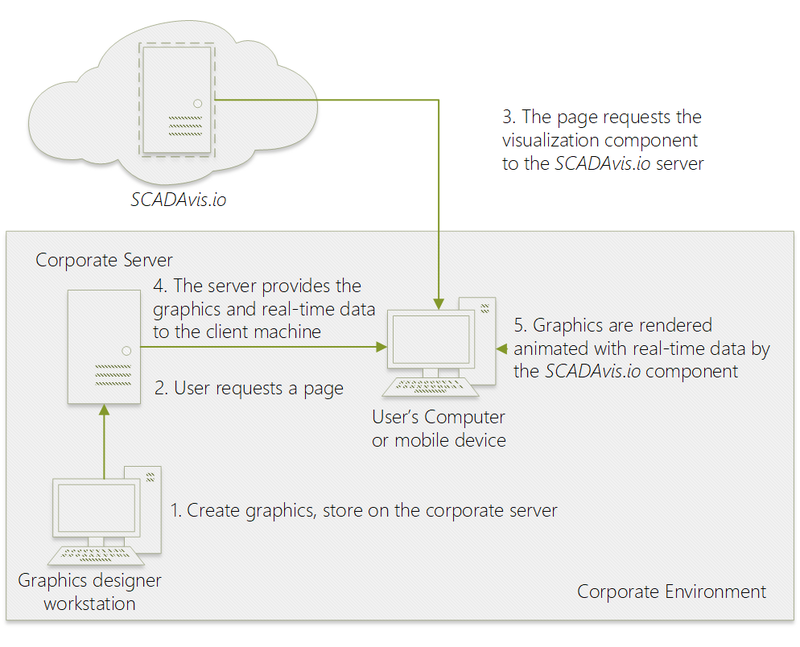 Our visualization component does not send any of your data to our servers or anywhere else, it just renders the graphics directly on the client machine. 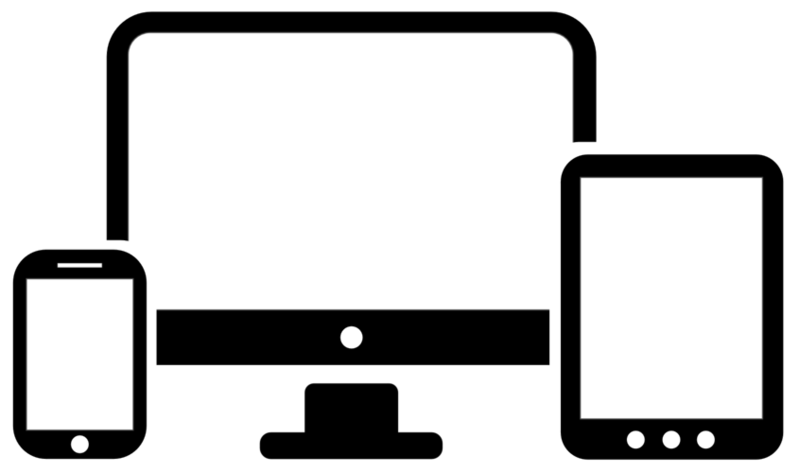 Compatible with modern HTML5 desktop and mobile browser platforms. We are experts in web-based real-time data visualization, power systems control centers and substation automation. We deal with HMI's, data historians, substation automation, communication protocols and SCADA/EMS systems since 1998. Get a free API key now! You'll receive an email with a link to access your free API Key. Free usage up to a 100 page loads per month. No credit card neeed. And no spam, we promise!